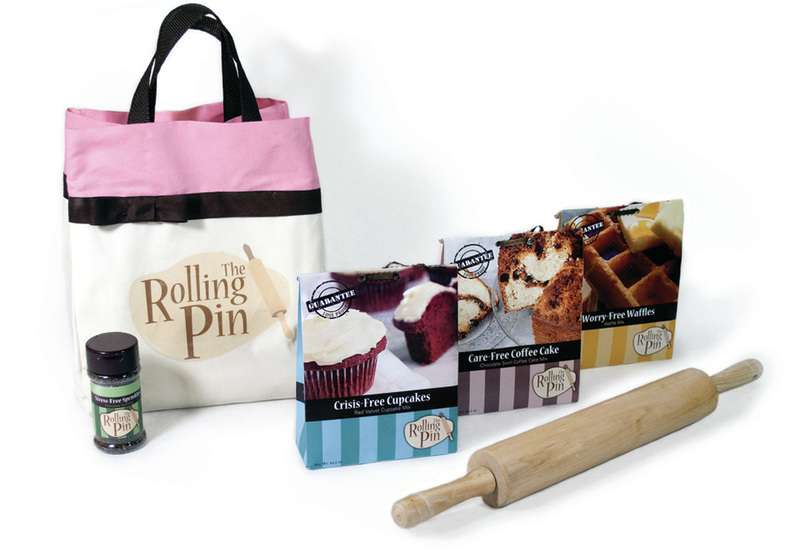 The Rolling Pin is company reminiscent of the vintage 40’s and 50’s era. 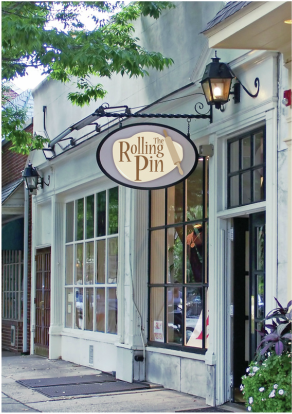 It utilizes color schemes, attention to detail, and pride in homemade goods, while being modern and accessible to women today who are not well-versed in the kitchen. 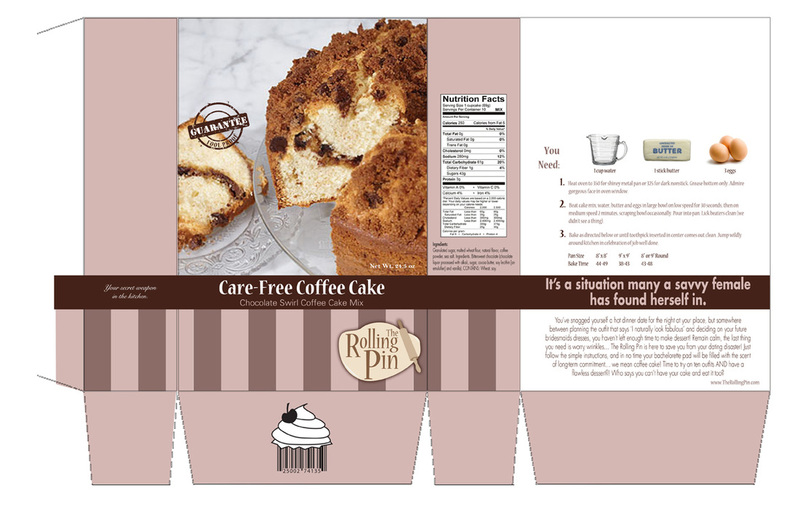 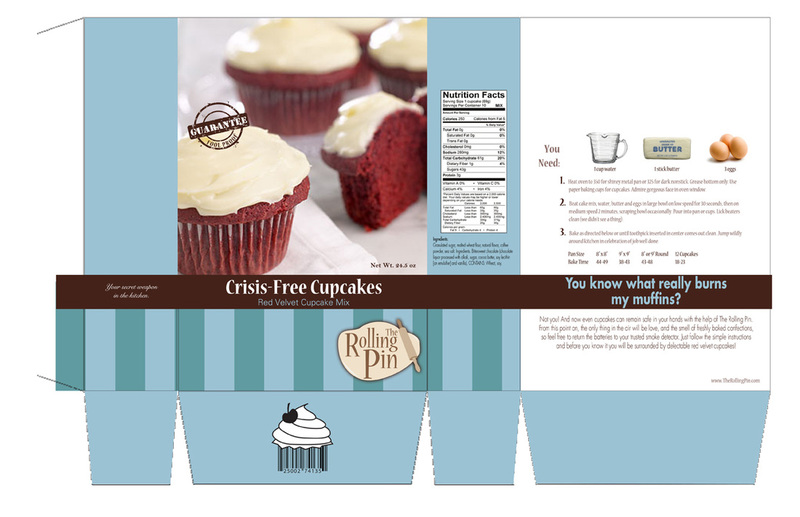 The message of the design is to communicate that women are able to throw on a girly apron and heels, and know with the help of The Rolling Pin they can make a birthday cake for their partner or muffins for their mom, and not have the day end with the fire alarm going off. 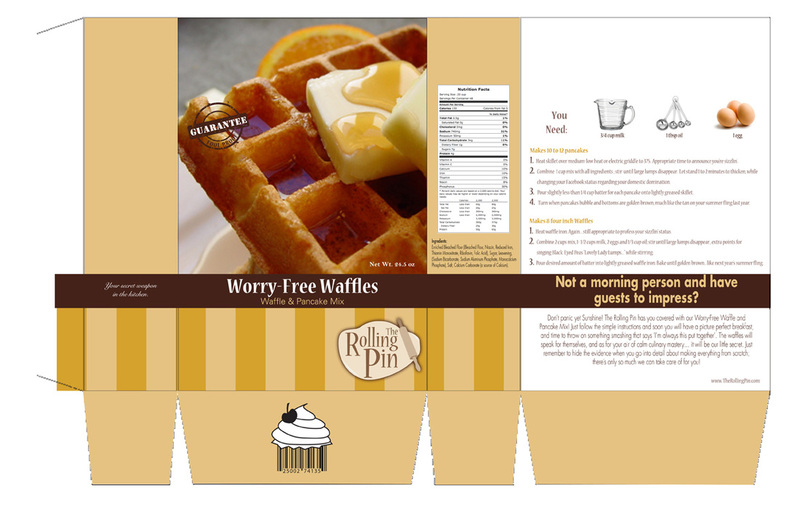 The packaging was inspired by the colors and textures of vintage posters, fashion, and furniture. 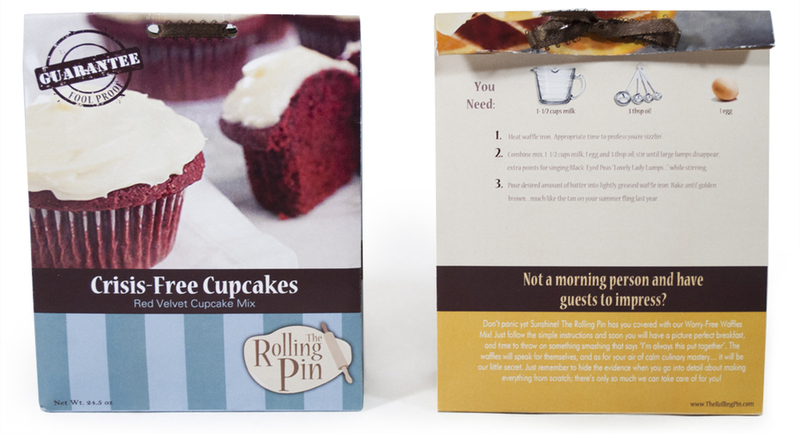 The Rolling Pin stands out through its fun and flirty brand identity, eye-catching design, and comical copy on the packages. 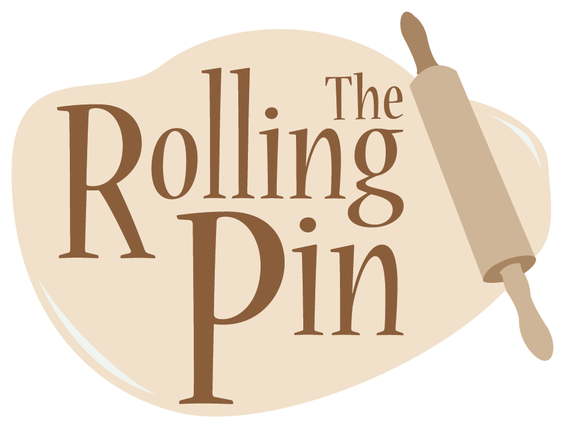 The voice of products by The Rolling Pin is friendly, reassuring, and humorous. 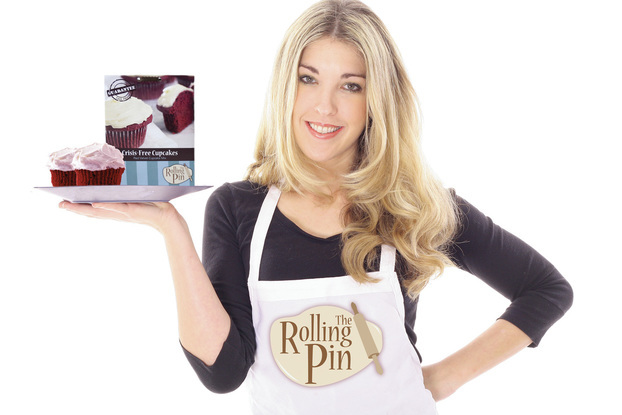 The Rolling Pin gives women an opportunity to be girly, adventurous, and have their cake and eat it too!